The fallout from the Facebook / Cambridge Analytica scandal has continued unabated. As discussed previously, there are a number of different angles that are controversial here, and it is very much in Facebook's interest to gently guide the narrative away from its own data collection and mining practices towards elements of its business towards one that is less impactful - while still making a show of responding. Facebook this week announced its intent to remove Partner Categories by Q4. Partner Categories in Facebook is data from third-party data providers like Oracle Data Cloud (Datalogix), Acxiom, Epsilon and Experian. This includes user groups like "Auto Intenders" or "Soccer moms" that these companies assemble using their combinations of online and offline data, and which are then synced over to Facebook. Marketers could leverage Partner Categories to target these groups of user on Facebook for an additional CPM fee. This was particularly useful for brands targeting wider swaths of potentially in-market customers - large TV advertisers are typical customers. 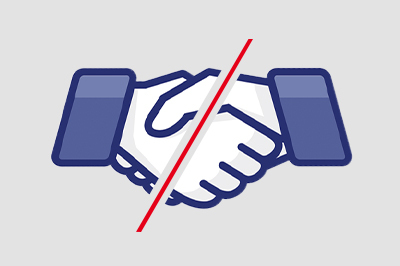 There are several ways to interpret Facebook's removal of Partner Categories. The first is that it is trying to actually respond to the Cambridge Analytica scandal in a productive way - by understanding that it needs to be more responsible with consumer data and thus limited the degree to which its own data intermingles with that of other companies in a material way. At some level, this is likely true. Partner Categories were around for five years, and were abruptly halted last week - without notice even to the data providers - meaning it was almost assuredly a direct response. It is also a tangible response, meaning it can be pointed to in any governmental hearings that the company might be requested to attend in the future as evidence that it is reacting appropriately. Alternatively, Facebook is preventing further fallout that might ensue if it were to emerge in popular media the way that these data providers collect their data (which, itself, would probably scandalize the lay consumer). The possibility of this hypothetical data collection scandal being combined with Facebook and its own data collection practices and the ongoing scandal is preempted by this move. The GDPR was also likely relevant, as these data companies possibly do not comply with GDPR in their current form. That said, Facebook would be capable of making them usable outside of the EU if it had wanted to do so. The above set of justifications are all valid, though several more cynical interpretations are available. As discussed above, Facebook is keen to effect change that will simultaneously garner positive press and hopefully put the current situation to rest while also no fundamentally changing their business practices, especially around broad data collection. This achieves both. Facebook is able to spin this positively as a move to further privacy on their platform (which is a dubious claim for this particular move), yet Partner Categories was apparently not a meaningful driver of Facebook's advertising business. The company can continue to collect all the user data it wants, and now, in fact, drive advertisers to only use its data as opposed to those of partners that they may have historically worked with - meaning the company may be better off. And this may result in those brands that were leveraging Partner Categories trying Facebook data. Acxiom's CEO described this as “masterful political manipulation,” adding that “this is really about their walled garden. They are forcing advertisers to be more reliant on Facebook reporting only."